If you accept the deposit bonus using Neteller, Moneybookers or Ecocard you must turn over the deposit and the bonus sum 100 times. The progressive jackpot network offers a combined jackpot pool of €10 million. If you manage a progressive win of €100,000 it will be paid out in full and not in installments. New players will receive a match bonus of 100% plus 100 free spins to play Gonzo's Quest, Starburst and Jack and the Beanstalk. To qualify for this one-of-a-kind offer you must deposit a minimum of £$20. CasinoLuck is quite an extravagant operator. It offers a dynamic range of games by a host of software providers. You’ll note its logo is a ”lucky leaf”. Legend has it that if you find a clover leaf it will bring you good luck. Each leaf of the Clover represents something: the first is faith, the second hope, the third love and the fourth is for luck. CasinoLuck been servicing tens of thousands of customers since 1999. As of January 2011 it started out fresh with new management at the helm, new software providers and a crispy new site design. It is licensed by the Lotteries and Gaming Authority of Malta and listed on the Swedish stock exchange. The operator offers a stupendous amount of games (700+) powered by Betsoft, Cryptologic, IGT, Microgaming, NextGen, Net Entertainment and Play’n Go. You can pick and choose from a variety of eccentric table games, video poker, classic slots, video slots, speciality games and progressive jackpots. One of the things that shines through is the quality of the games’ 3D graphics and animations. Mobile players will be happy to know that its mobile section boasts a variety of 120 games. The software client is only available in the ‘Instant Play’. Games are tested regularly by Technical Systems Testing (TST) for transparency and fairness. To kick start your visit at the casino you qualify for an amazing 100% match bonus up to £125 or €150 and a 50% monthly reload bonus up to €200. Daily free spins promotions on selected slots are also up for grabs. Before you accept the bonus read its terms and conditions first. You can only cash out your winnings from the bonus once you’ve turned over the deposit and bonus sum 20 times (40xb). To qualify for the bonus you must deposit €10. When it comes to ”Greengaming”, CasinoLuck competes with the best. A self-exclusion option is available to problem gamblers. Players can self-exclude themselves from the casino for a certain period to indefinite. Customer support is good. Unfortunately telephone numbers are not listed on the website of the casino. The only available contact methods are email and live chat. CasinoLuck aims to respond to all email queries within 12 hours. A FAQs covers important information about problem gambling, deposit and withdrawal methods, username and passwords, problem gambling, registration and security. In summary. CasinoLuck has your contemporary player in mind. Its 3D slots are flushed with bonus rounds, daily free spins and customer support is very good. The only gripe I have is that live chat support is only available during certain hours. Otherwise highly recommended. First time players are offered a 100% match bonus up to GBP125/€150. The casino will match the player’s deposit by 100%. For instance if a player deposits €150, the casino gives the player an extra €150. The player can now wager with €300. Before a player can cash out any winnings the deposit and the bonus sum must be staked 20 times. Every player is entitled to a 50% reload bonus up to a maximum of €200 on their first deposit every month. This monthly reload offer is available a month after your first deposit. 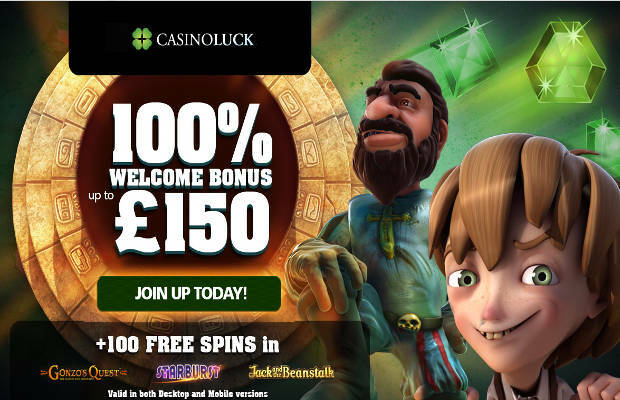 CasinoLuck will keep its regular customers posted via its newsletter pertaining to its latest events and free spins offers. CasinoLuck offers its customer a decent amount of deposit and withdrawal options. Prepaid Cards: Voucher, Ukash, PaySafeCard and Swiff. 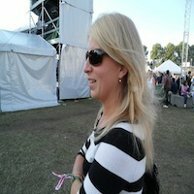 Instant Banking: Nordea (Moneybookers), Bank Transfer (Moneybookers). Fast Bank Transfer: Poli, Swedbank, Neosurf, iDEAL, eKonto,Ewire, MultiBanco, Web Money, Telingreso, Eps, GiroPay, InstaDebit, Deposit Nordea, DineroMail, Todito Card, LobaNet, GluePay, EPay. Withdrawals will be processed within a couple of minutes to 5 business days. I requested a withdrawal via Neteller, a half an hour later the funds was in my account. The minimum deposit amount is €10. The maximum deposit and withdrawal amount is €5,000 per day. CasinoLuck has more than 700+ casino games that can only be played in the flash version. Includes a variety of Roulette, Baccarat, multi hand Blackjack variants featuring Blackjack Single Deck, Blackjack Double Exp, Lucky Blackjack, both versions of American and European Roulette, Let It Ride, Caribbean Stud, Oasis Poker, Bonus Keno, Red Dog, High-Low, Punto Banco, Pontoon etc. There are so many video slots to choose from your head will spin. They are flushed with bonus rounds and multipliers. Popular 3D slots are Egyptian Heroes, Secrets of the Stones, Alien Robots, Flowers, Trolls, Jack Hammer, Gonzo’s Quest, Arabian Nights, Excalibur, Blood Suckers, Green Lantern and Flash Velocity. Classic Slots are Jackpot 6000, Beetle Frenzy, Mega Joker, Lucky 8-Line, Pirate’s Gold II, Gold Rush and Magic Love. Video Poker is a mixture between a slot machine and a poker game. You can play Deuces Wild, Joker Poker, All American, Jacks or Better, Classic Deuces Wild, Classic Jacks or Better and many more. Up to 31 progressive games can now be played. CasinoLuck now offers some of the largest progressive jackpot in the industry. Popular titles are Arabian Nights, Triple Wins Jackpot Scratch Cards, Hall of Gods, Gunslinger, Golden Derby, Super Frog, Geisha Wonders, Icy Wonder, Vault Assault, Keno, Gold Rush and Caribbean Stud Pro. Marbles, Treasure Hunt, The Lost Pyramid, Bingo, Shoot 4 Gold, Bonus Keno, Cash Bomb, Golden Derby, Lucky Double, 7 Gold Scratch, Zodiac and Ace.